The New York Post reports that Fuld is actually happy about the bankruptcy examiner’s report. But while Valukas in the report said that the Lehman estate has “colorable” claims against Fuld, former CFO Erin Callan, and other members of the financial team for not disclosing its use of the Repo 105 transactions, people in Fuld’s camp think differently. They say that if after poring over reams of documents and sifting through millions of e-mails, Repo 105 is the strongest example of Lehman’s supposed shenanigans, Fuld & Co. are in good shape. Indeed, the Repo 105 moves were conducted in the wake of the collapse of Bear Stearns and took place while the Federal Reserve and other Wall Street regulators were inside Lehman monitoring the firm’s activities amid worry of another Wall Street meltdown. 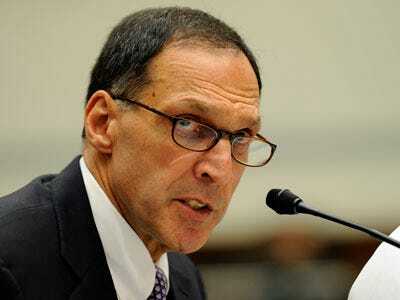 Fuld’s sense of vindication comes as word has it that Lehman’s directors and officers may have burned through most of their tens of millions of dollars in insurance coverage that has helped top executives pay legal fees in the 18 months since Lehman fell.